In April of 2008 my sister Kim would only be with us for 6 more months. We didn’t know it at the time, but in October she would very unexpectedly pass away. That April, though, she was here and celebrating our son’s baptism with us. She was one of his sponsors and honored the occasion by gifting him a beautiful sterling silver rattle from Tiffany & Co. The Tiffany & Co. When I opened the gift bag and saw the beautiful blue box with Tiffany & Co. inscribed on the top, I knew our son was receiving something really special. My practical and semi-frugal self could hardly believe this fancy, sweet and unexpected gift. I was so moved by my sister’s generosity and desire to give such a memorable keepsake to our son that I, of course, profusely thanked her in that moment. I knew how hard she had worked to earn the money to buy that gift. Incredibly touched by her gesture, I further expressed my thanks by sending her a handwritten note. Now, let me reassure you that whatever I wrote was certainly not profound. In fact, I really can’t even remember what I said. But I do know that whatever it was expressed my genuine thanks. I’m glad I sent her that note because the opportunity to express my appreciation was gone just months later. So, do you take the time to write thank-you notes or do you think they are a waste of time? Really, who has time for that? Since time is limited, none of us have time to spend on meaningless activities. In order to write a note of thanks we have to buy notecards, sit down and think about what we’ll say, go through the action of writing the note, address the envelope, get a stamp and send it in the mail. It’s a process that takes time. Yet, while it’s true that writing thank-you notes takes time, there are some great benefits when you take the time to do it! It gives us an opportunity to reflect on what another person has given to us or done for us. This is how true appreciation develops. If you don’t give a second thought to what you received then you probably aren’t going to feel very thankful. Thinking about and expressing appreciation for what someone else has done for us helps us realize we are loved! In today’s digital age of email and texting a handwritten note is often a novelty. And when you take the time to write and send a note in the mail, that person is assured that you appreciate what they have done for you or given to you. It is often more meaningful than a text or email. Most people really enjoy receiving a nice hand-written note in the mail so you might just make their day as they read that heartfelt card! Handwritten thank-you notes can be kept as a keepsake. I have several heartfelt thank you’s from people I love that I hang on to. Of course, there are other ways to express thanks besides a thank-you note and we’ll talk about those this month too. Sending an email or text to say “thank you” isn’t a bad thing and can be a good way to express thanks, depending on the circumstances. 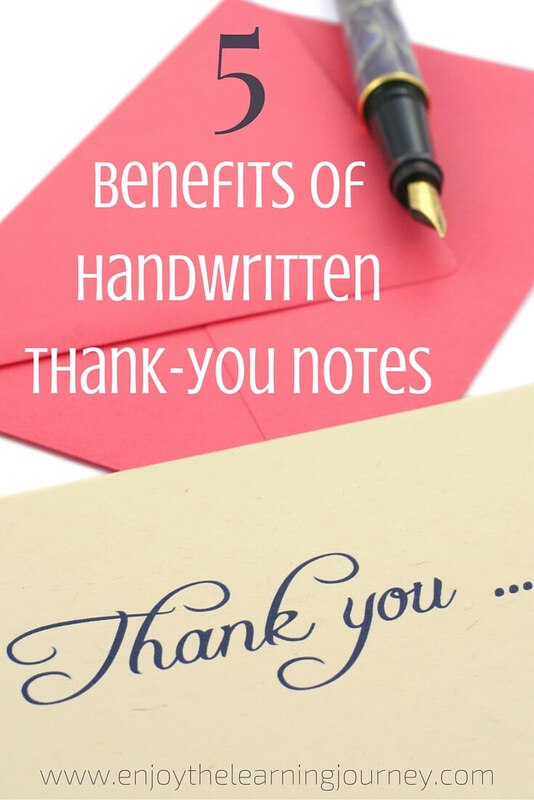 I use these methods too and don’t always send a handwritten thank you note. Still. There’s nothing quite like a handwritten note. It is personal, meaningful, classy and pretty much irreplaceable! You can go to the schedule of 31 Days to a More Thankful Life for Families for more posts in the series. 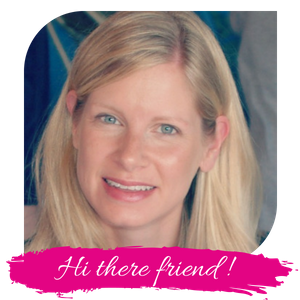 Sign up for my newsletter for free printables and other goodies for subscribers only!